Once a man who wrote stories about trying to understand what makes monsters tick, Guillermo del Toro now is planning multiple sequels to a movie about punching them in the face. 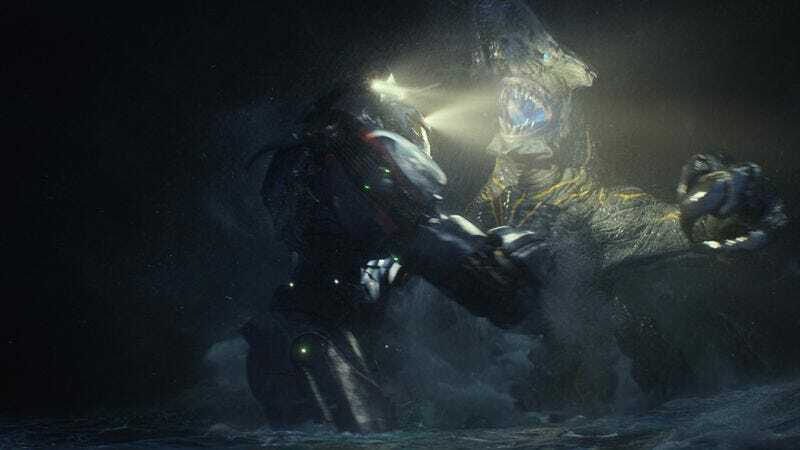 In an interview with Collider, the director discussed his plans for Pacific Rim 2, due in April 2017, and revealed that the ending will pave the way for a third film in the series. “We’re going to shoot ambitiously and say ‘Let’s hope we have three movies,’ so some characters come in at the end of the second, hoping that it will ramp up on the third one,” del Toro says. This is a bit of a gamble, since the first Pacific Rim drew lower domestic box-office returns than expected. However, it performed well overseas, where monsters have long been celebrated as cinematic royalty, then body slammed into buildings until they die. Anyone yearning for more sensitive del Toro fare will perk at his assurance that the sequels are going to provide “a very different experience from the first one.” However, it’s unclear whether this foreshadows more character work on behalf of the humans and monsters, or just that the robot-monster melee will destroy a different city this time.